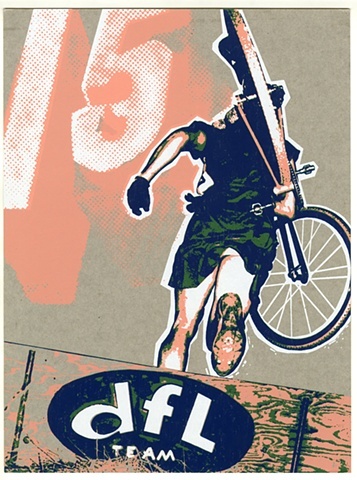 Jeff Hantman - DFL 15th Anniversary poster for Artcrank SF - 4 color screen print. DFL 15th Anniversary poster for Artcrank SF - 4 color screen print. 10 3/4" x 14 1/4"